Lighten your step and freshen your trainer stash. 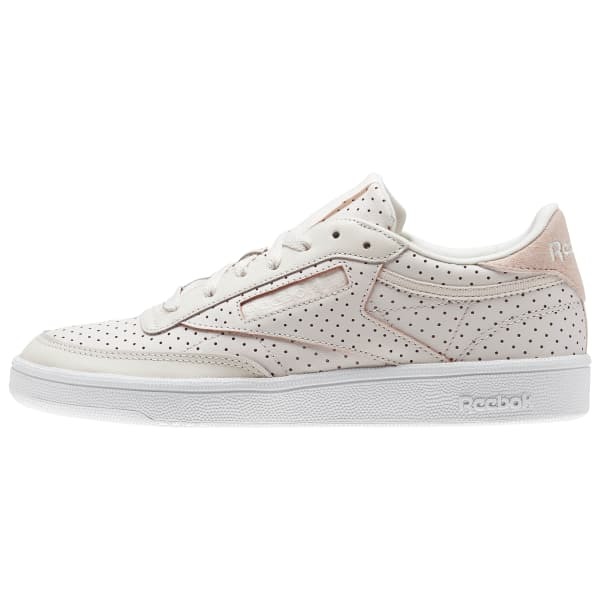 The all over perforated leather on these Club Cs lets subtle colour peek through. The soft hue effect breathes with effortless style whether you pair them with denim or a legging look.